Now don’t tell me none of you have ever dreamt of being a Disney princess when you gals where well little gals. Now I myself am more of a action, sci-fi, horror movie kind of girl but once upon a time I was a lot more of a girly girl. My favorite at the time was Snow White then I switched to Aurora and then Ariel. T his article is all about Cinderella but I never mentioned her as my favorite Disney princess but that doesn’t mean I don’t like her story. The fact is Cinderella is most likely the most used story plot ever. There has been many films and novels, pocketbooks about a girl having a mean stepmother and two stepsisters or stepbrother when it comes to movie Cinderella Story: Once Upon A Song. So what makes this movie any different? For starters this movie isn’t like those other adaption where it takes us to the modern world. 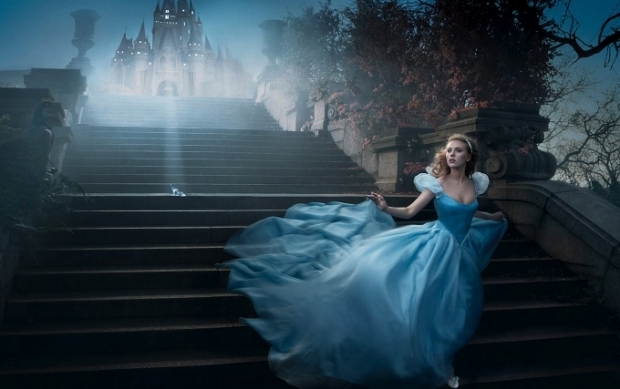 This movie is more about fantasy as it is a live-action remake of the 1950’s animated film Cinderella but this holds more twist that you’ve never seen before. This film is directed by Kenneth Branagh, from a screenplay written by Chris Weitz. The film was released in March 13, 2015 but it had its world premiere on February 13, 2015, at the 65th Berlin International Film Festival. If you haven’t seen the trailer then I suggest you do because you’ll see what I mean. I don’t have to do the whole summary since well Cinderella is a well known story but I will tell you about that little bit of twist that I saw in the trailer like how Ella (Cinderella) didn’t meet the Prince in the ball but rather when said Prince was on a hunting trip and that he introduced himself to Ella as simply a palace employee named Kit. The fairy godmother also has a lot more role in this story rather than just popping out of nowhere and using her magic to make Cinderella’s dream come true and making her go to the ball. It also shows more glimpse of how Ella’s childhood and it shows her interaction with her mother and how she taught Ella to be kind and about how goodness can bring magic. I guess that explains her having a fairy godmother. And I do remember having the horse as the one who was in charge of the pumpkin carriage and not a duck but oh well it still as magical as it can be. This movie can really make anyone have their inner girl come out and just fantasize about this fantasy, romance movie. Makes you want to be Cinderella herself and have a Prince sweep you off your feet. Disney princesses’ story just can never get old no matter how old you are. I suggest you mark your calendar cause you definitely don’t want to miss this movie.